Did you know Arizona has its own Waikiki? 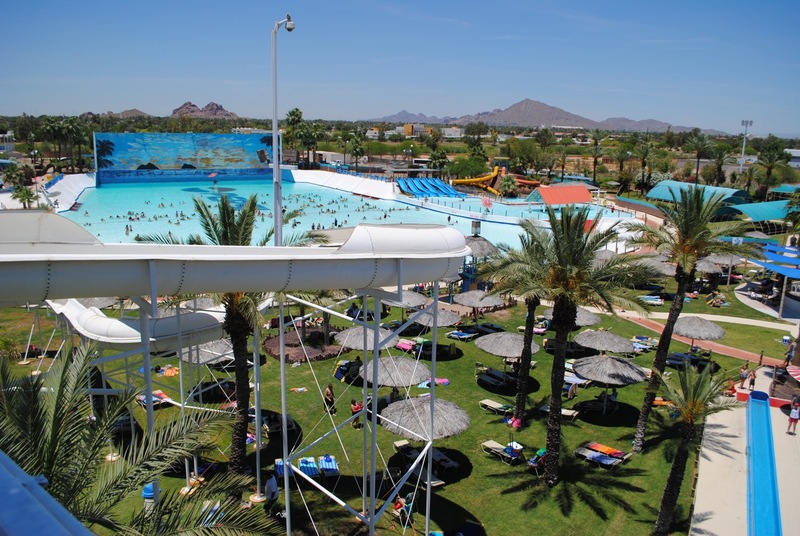 That’s right, this splash of beach is part of Tempe’s Big Surf Waterpark, home of America’s original wave pool in the desert. Big Surf offers surfing-only sessions twice daily all summer long to Surf Season Pass holders, starting at $99 (child’s morning or evening pass). The Surf Season Pass includes regular pass privileges as well, such as waterpark rides and slides. Private surfing lessons (Saturdays, 8:30 a.m.) start at $149, and include two-day board rentals. Buy your tickets online and save 10%. Now in its 45th season, Big Surf got its start when Phil Dexter opened the park in 1969. He developed what turned out to be the first model of the wave pool in his back yard. It is now the 3rd largest in the world. The pool’s five-foot waves, which come every three minutes, carry several dozen surfers more than 100 yards.